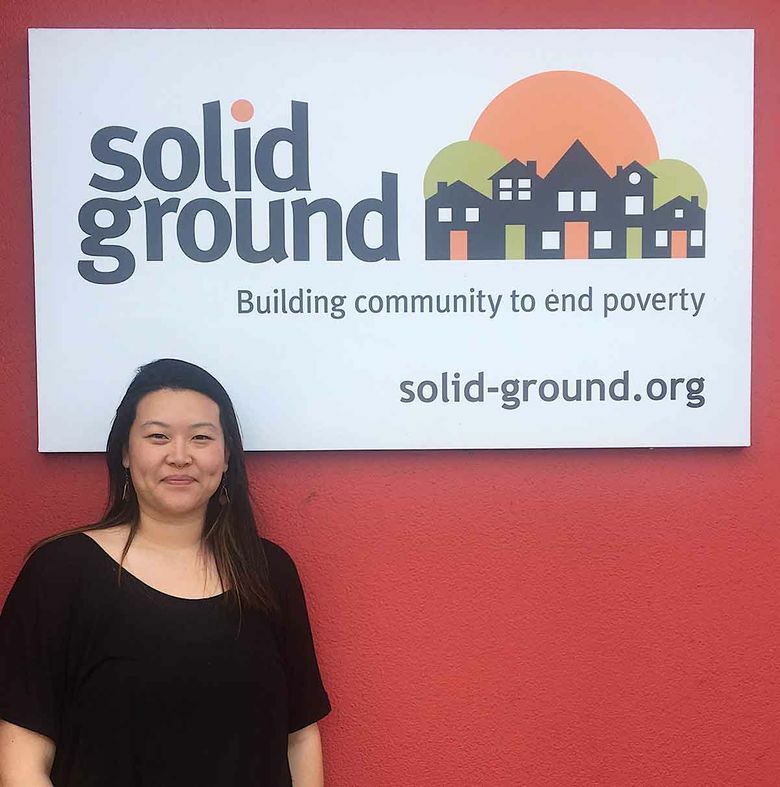 Meet Phoenica Zhang, the corporate giving officer at Solid Ground, a Seattle-based nonprofit working to end poverty and undo racism and other oppressions. What do you do? I work in development as the corporate giving officer at Solid Ground, a local organization that works to uplift our vulnerable communities out of poverty and undo systemic racism in our region. We do that by combining direct services with community-based advocacy to help people meet their basic needs, nurture long success and spread change. In my role, I get to help connect individuals and businesses that believe in a more equitable Seattle to Solid Ground’s work! How did you get started in that field? My introduction to the nonprofit world was actually through the programming side of things, coordinating food justice programs at a local organization called Hunger Intervention Program, and then at Solid Ground. From coordinating weekend food programs for Seattle students experiencing food insecurity, to teaching cooking and nutrition education with families who were trying to live healthily on a budget, to leading farm field trips for youth who lived in a neighborhood otherwise void of green space, I saw just how valuable services like these were to families. But I also saw how much funding landscapes can affect programs and the people they serve. So, I made the shift from supporting communities through direct services to cultivating resources to fuel those services. Recognizing that corporations and businesses have both an interest and a responsibility to invest in their communities, I chose the world of corporate giving. What’s a typical day like? My work has the expected: answering emails, writing sponsorship applications, tabling at company fairs that feature community organizations, and talking with a wide range of folks about Solid Ground’s work. But every so often, I get to steward some “out of the box” fundraising opportunities that are products of passionate people finding creative ways to leverage their tools and support our work. I’ve eaten pastrami sandwiches at a local diner that features Solid Ground. I’ve worked with multiple bars that have hosted events or donated a dollar of every drink on their slowest days. I’ll even be talking about our work at an upcoming hard-core punk show that’s benefiting Solid Ground. To me, these kinds of grassroots partnerships with local groups and businesses are just as meaningful as large corporate donations. What’s the best part of the job? For anyone who’s worked in the worlds of human services or social justice, they’d agree that it’s challenging work, an uphill battle. Talking with relative strangers about housing instability, homelessness or hunger, and how these issues are effects of systemic racism isn’t exactly the easiest of conversations. But when I see it click with people, and they feel moved to join us in creating a better city for everyone, that’s inspiring. Those are some of the coolest moments of my job. What surprises people about what you do? I think people can sometimes view fundraising work as superficial or transactional — get the money and get out. But in my experience with my work at Solid Ground, it’s so much more than that. It’s about developing allies and advocates of our work: finding people and businesses that understand that injustices are happening in their city, and then giving them opportunities to do to something about it. At Solid Ground, we’re trying to cultivate change, not just dollars.